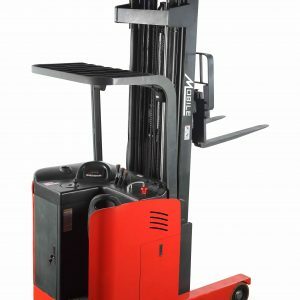 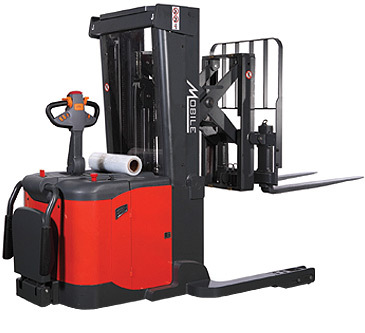 RRS33N Ride-On Reach Truck Stacker - MOBILE INDUSTRIES INC. :: Material Handling Tranport, Lift and Warehouse Equipment. 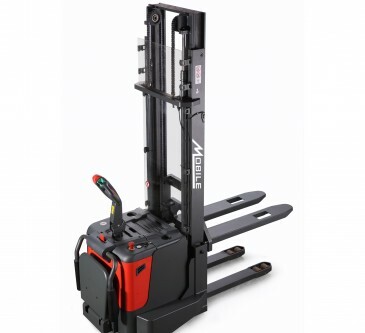 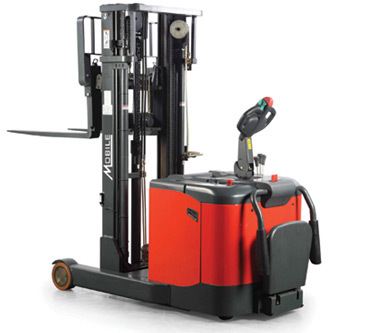 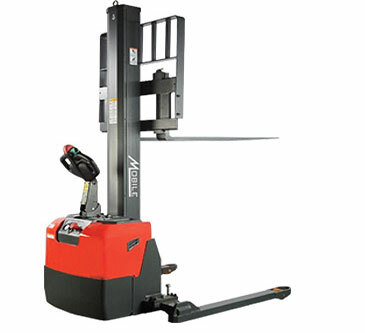 The RRS33N Series Ride-On Reach Stacker is an ideal option for high capacity and lift height cargo storage applications. 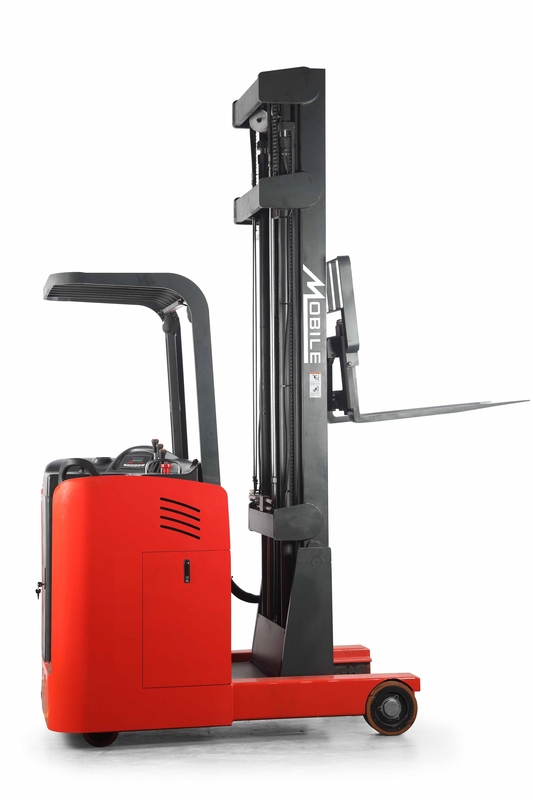 It comes with a rated capacity of 3300lbs and lifting height up to 315”. 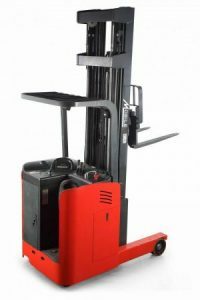 It also comes with the advantages of integrated forward reach mast and a small turning radius, which can ignore the barriers created by the bottom shelf. 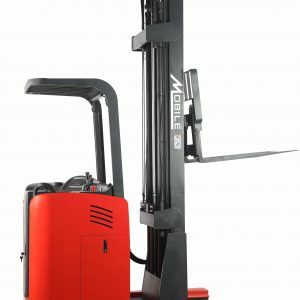 It is highly operable in large-scale vertically built chemical plants, warehouses, supermarkets, docks and all storage areas. 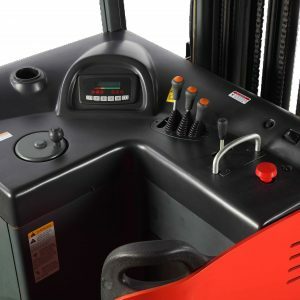 Regenerative braking – If the brakes are applied while driving, the motor will automatically power off to minimize power consumption and extend operation time; The use of regenerative braking technology also minimizes the wear of the brakes. 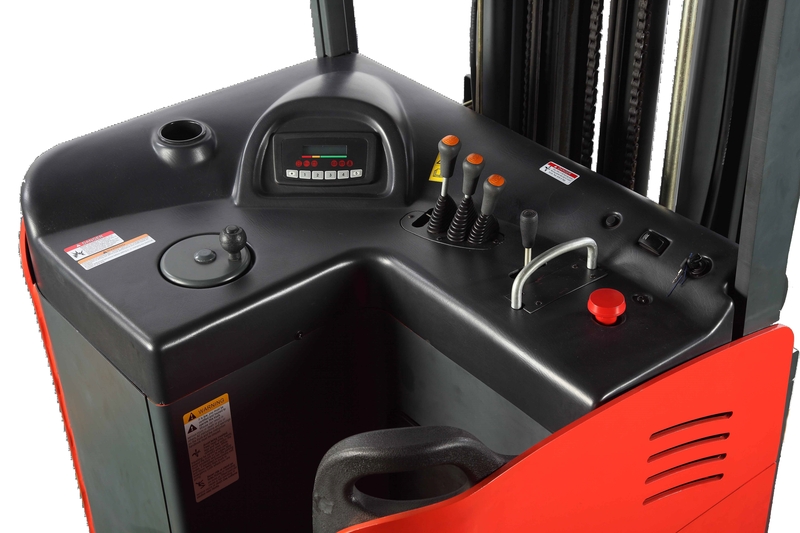 Advanced configuration – Integrated AC system, KDS motor, Zapi power steering and control systems with high-precision gearbox ensures a flexible steering and high-quality driving performance. 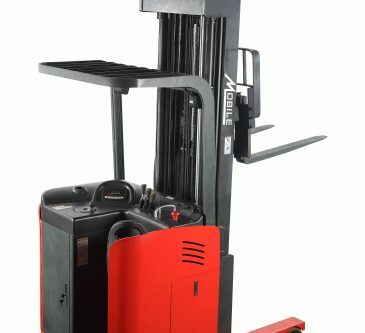 Hydraulic system – Internationally advanced connectors, hoses, abrasion and high temperature resistance, highly flexible import seals, reasonable layout of hard and soft tube to ensure the whole hydraulic system’s cooling, sealing, durability, safety and efficiency.